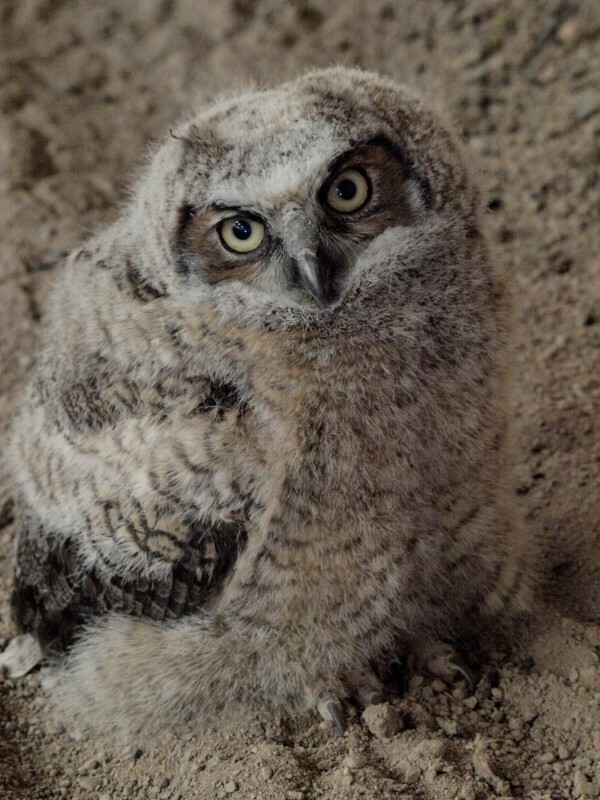 The first of two Great Horned Owl fledglings left the nest yesterday and has been walking laps in and out of the indoor horse arena. This baby is about three weeks old, stands twelve inches tall and walks very well. It’s relatively calm unless approached too closely (these photos were taken with a Zuiko digital 300mm zoom lens). 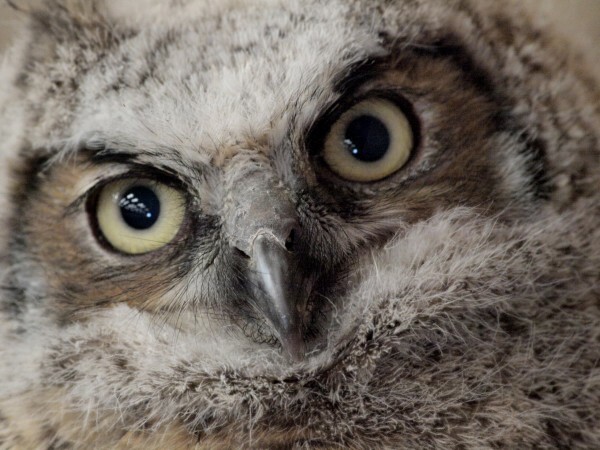 When disturbed, a “brancher” owl puffs itself up big, hisses and clacks its beak. Previous handling of raptors has given me first-hand knowledge of the strength of their feet–watch out! It will walk for up to a couple of weeks while its flight feathers grow and it becomes strong enough for short flights. Until then, we’ll be treated to our own fearsome penguin marching around with us. This entry was posted in Critters, Flowers&Fauna and tagged Birds, great horned owl, New Mexico, Owls, wildlife. Bookmark the permalink.